Khalid is out to re-define rhythm and blues music for the second time in two years – something that should be borderline impossible for someone who’s only 21 years old. But his sophomore studio album Free Spirit comes out on Friday (April 5) and it’ll surely exist at the intersections of country, pop, funk, rhythm, blues, red, yellow — you get the gist. Khalid’s a system, an artist with a booming baritone voice who creates on impulse and disregards genre or structure. The title of his latest effort is fitting, to say the least. It’s been two years since Khalid’s debut LP, American Teen, an album that captured the friction of youth, that state of confusion where you aren’t quite congealed as a person, where everything feels right, even when, in actuality, it’s wrong. The love you’re feeling is fleeting, and marijuana solves all problems. But since the LP’s release, the singer has been up to a lot. It’s time to trace that growth as we all prepare ourselves for his next project. Khalid first started making music in the winter of 2015, still a high-school student just posting songs to his SoundCloud account. But after meeting with a producer named Josh Scruggs, the pair got into a zone, cranking out a tune they knew would be special: “Location.” After gaining traction online, the song’s official music video was released in September of 2016 and has since registered hundreds of millions of views. The song became huge, peaking at No. 16 on the U.S. Billboard Hot 100 on its way to becoming a multi-platinum hit. “Location” was only the tip of Khalid’s iceberg; the singer’s debut album, American Teen, came just months later, in March of 2017. It featured the nearly-as-big follow-up single, “Young Dumb & Broke,” that was brutally and painfully honest about sub-18 life. The singer was cultivating a sound and image as an intensely charismatic individual whose powerful voice could bring a grizzled veteran’s touch to a young man’s perspective. Logic‘s 2017 hit “1-800-273-8255” is a moving song about struggling with one’s emotional health and suicidal ideation. The rapper does more than give multiple perspectives of the situation; he also enlists singers that bring smooth, calming melodies to the anxious atmosphere. One of them is Khalid, whose deep vocals complement Alessia Cara‘s lighter, feathery voice. Anchoring the song’s outro, his message isn’t lost in the melody: He’s tired of crying and ready to feel alive. American Teen was a hit with both fans and critics. In October of 2017, the album went platinum, and at the VMAs that year, Khalid took home the moon person for Best New Artist. So it wasn’t much of a surprise that, after glowing sales and reviews, the singer was nominated for five Grammys at the 2018 ceremony: Best New Artist, Best Urban Contemporary Album, Best R&B Song for his breakout single, “Location,” and Song of the Year and Best Music Videos nods for his contributions to “1-800-273-8255.” He, unfortunately, left the ceremony empty-handed, but it was an indication of the start of something special. For most of 2018, Khalid kept his personal releases close to the chest. But as far as collaborations, they were everywhere. It was impossible to predict where he would appear next. In February, a collaboration of his with Swae Lee, “The Ways,” appeared in the Marvel superhero film, Black Panther. Around that time, he partnered withNormani for her first solo release, “Love Lies,” which eventually peaked at No. 9 on the Billboard Hot 100. Khalid later linked up with Billie Eilish, his stylistic opposite, to drop “Lovely,” a collab more mysterious than any of his softer anthems. And by working with Benny Blanco and Halsey on “East Side,” it became clear that he was moving in a much broader direction. In October of 2018, Khalid returned to his own material with a new EP, Suncity, an appetizer for Free Spirit. At seven tracks, it’s much vaster in sound and scope than its length would indicate. 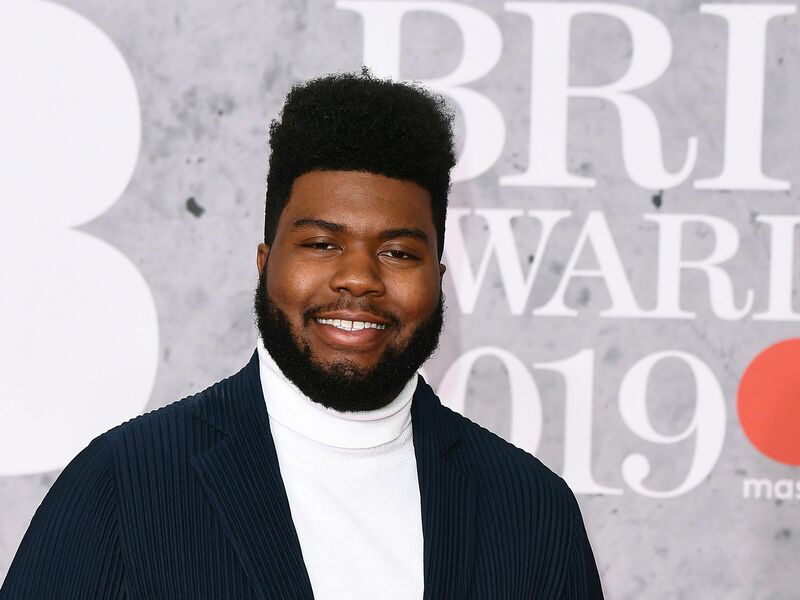 Poppier and more lighthearted than American Teen, it gives us a wider perspective of Khalid’s taste, which has become increasingly expansive since his debut. When it dropped in October of 2018, it debuted at No. 8 on the Billboard 200. In February 2019, the road was paved to Khalid’s forthcoming album. He released his Disclosure collaboration “Talk” as the album’s first single. It shocked with its funk and prepared the world for the following two singles released in March, each vastly different from one another: “Self” and “My Bad.” He also revealed details about the new album, chief among them the fact that there would be a short film of the same name released alongside it, co-created by the prolific music video director Emil Nava. A new era begins.